Please note, reserved seating consists of a high-top table for 2. Seats are sold separately. General admission tickets do not guarantee a seat. When people see The Lil Smokies setting up their acoustic instruments, they’re often unprepared for the electric energy they generate. The band captures that same dynamic presence on their most recent album, Changing Shades, delivering their exceptional songwriting and bluegrass roots with the punch of a rock band. 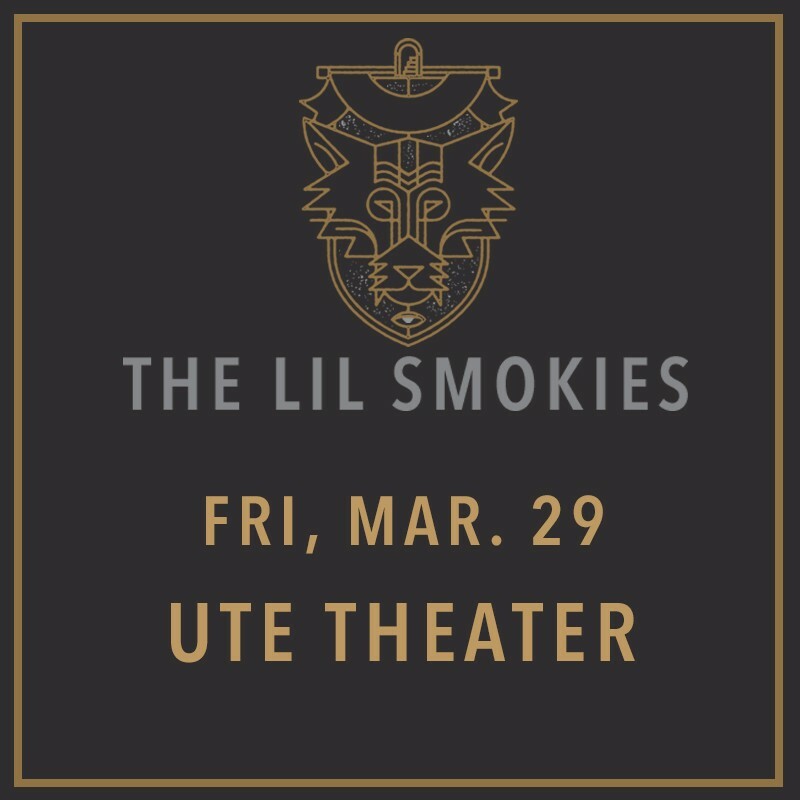 The first incarnation of The Lil Smokies got together in Missoula, Montana, during the winter of 2009. Through the years, the band transformed and settled into the current lineup – Scott Parker on bass; Jake Simpson on fiddle; Matt Rieger on guitar; Matt Cornette on banjo and Dunnigan on dobro. Previously, the band has won the 2015 Telluride Bluegrass Band competition and took home the 2016 IBMA Momentum Band of the Year award. They’ve also wowed fans at the High Sierra, FreshGrass, Telluride Bluegrass, Grey Fox, Del Fest, Floyd Fest and String Summit festivals, to name a few. The Lonesome Days are a 5 piece, high energy, modern bluegrass ensemble from Denver, Colorado. Blending heartfelt songwriting and powerful vocals with precise instrumentation and undeniable groove, The Lonesome Days have charged their way to the forefront of the Colorado bluegrass scene. Songwriting is a major focus for the band but listeners can always expect a unique repertoire of standard bluegrass and other cross-genre covers. With the recent addition of fiddle to the band, The Lonesome Days are carving out their niche in the national bluegrass arena.